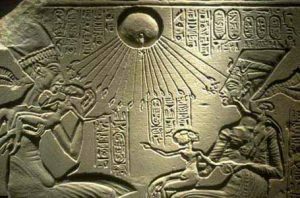 Akhenaten: Pharaoh, King, Renegade, Maverick...Alien? We dive into another Ancient Egyptian subject and find out who this interesting and revolutionary Pharaoh was. Also, was the Bible story of Moses really just Akhenaten's story retold or was it someone else's...or...was Moses even real? Find out with us tonight on The Paranormies.